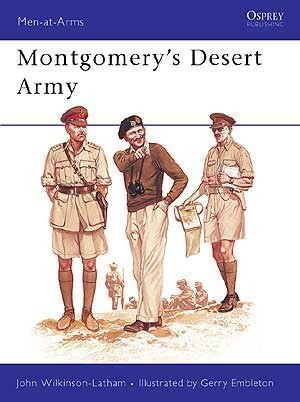 Originally Churchill's second choice as a commander, Montgomery was to make the 8th Army his own. 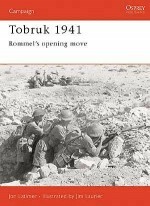 Indeed, his first task as the new commander-elect of was to restore the morale of the army. 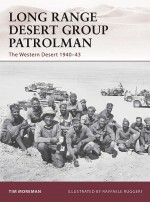 The desert army quicly assumed the character of their forthright and cocksure commander, and the troops confidently expected victory. 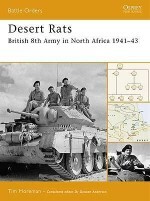 This they achieved at the Battle of El Alamein and the order of battle for the British and Dominion forces is detailed in full. 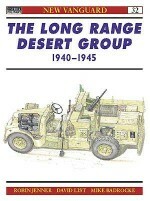 The difficulties of desert warfare and the type of equipment and uniforms are also discussed. 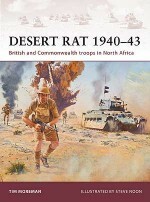 John Wilkinson-Latham has a particular interest in the battles that took place in North Africa during World War II. This is his first title for Osprey. 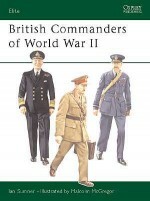 His sons Robert and Christopher have also written for Osprey on a variety of military history subjects.Gerry Embleton has been a leading historical illustrator since the early 1970s specialising in the medieval period, but with a keen interest in the 18th, 19th and 20th centuries. An illustrator, and author, of a number of Osprey titles he has lived in Switzerland since the early 1980s.